Home / Artists / Banksy / Signed De faced Banksy £10 ! 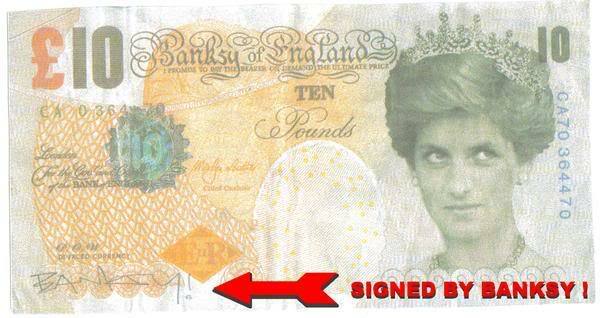 Banksy, Signed De faced Banksy £10 ! Title: Signed De faced Banksy £10 ! I have had this singed banksy £10 note now for nearly a year and ive always wanted to know how much its worth (not that i am interested in selling it as it was a personal gift from him) I want to know a estimated value on it any ideas ? I would like to know the answer to this question as well. I am also interested in finding out where and how these were signed. Is there a way to get them authenticated?